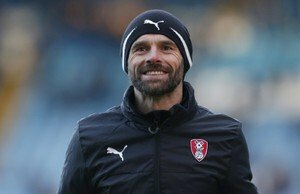 Rotherham United Manager Paul Warne is being linked with the vacant job at Queens Park Rangers. Rangers, who fell to seventeen in the Championship, sacked Steve McLaren earlier this week leaving Assistant Manager Peter Eustace in temporary charge. HITC Sport are saying that amongst the contenders for the job is the Millers own Warney. At first a reluctant Manager, Warne took over the Millers as caretaker in November 2016 after Kenny Jackett left and was given a rolling contract the following the following April getting the Millers back into the Championship via the play-offs at the first attempt. QPR have a tight budget to work with which Warne is used to but I’d be surprised if this ‘rumour’, as it is at the moment, ever comes to fruition. Paul Warne loves Rotherham and is an adopted Yorkshireman, his roots being in Norwich. He first came to Rotherham in 1999 from Wigan, leaving for Oldham in 2005 but coming back to play four years later. Going on to play more than two hundred and sixty games for the Millers he finally hung his boots up in 2012, when the club granted him a testimonial and gave him a job on the coaching staff where he eventually became fitness coach. What are your thoughts – if the offer came would Warney leave? Would Chairman Tony Stewart let him? What a load of codswallop this article is! Warne off to QPR yeah right, more like a local pub team.